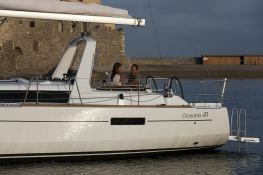 The Oceanis 41 the ideal boat for discovering the wonders of Southern France especially, Porquerolles and Port Cros and the creeks on the way to Marseille. Located in Saint Mandrier, Provence, this Oceanis 41 (3 double cabins), available for bareboat, built in 2015 by Beneteau, is capable of hosting up to 8 passengers. 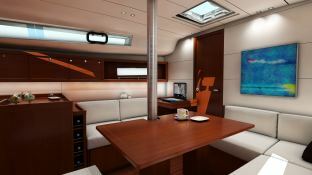 Further more, and for a complete bareboat charter journey, Oceanis 41 comes with electronic on board, equipped galley and also CD. 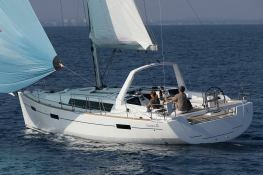 Special offer: this sailing yacht is available for bareboat charter from July 20 to August 03 with a special discount of 15%. 20% discount until June 8th. 20% discount from 13th to 20th July. 15% discount from July 20th to August 3rd.